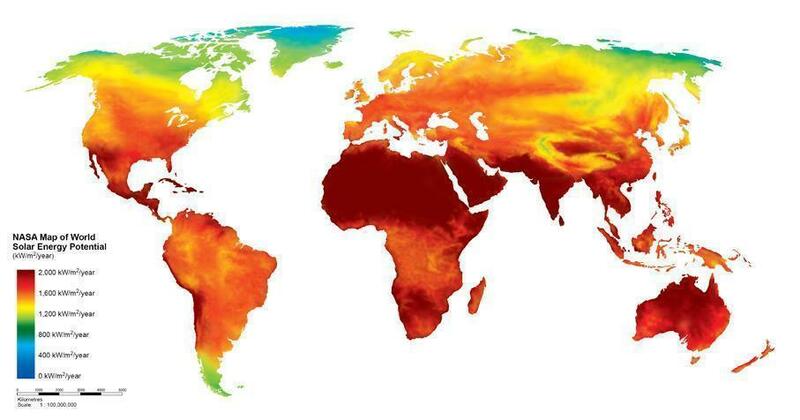 If you do not find the Feasibility Study for a city you are looking for, please see the solar radiation map on the left (elaborated by NASA). Cities located within the same solar radiation zone have similar savings in HVAC energy demand. In this sense, you could use the Feasibility Study of a nearby city located within the same zone as a reference for the city you are looking for. For example, the data included for the Feasibility Study of New York could be used for Tokyo. If you would like to receive the Feasibility Study for your city, please do not hesitate to contact us and we will provide it for you. Give your electricity bill a break; use Photovoltaic Glass. Would you like to evaluate the economic advantages of using Photovoltaic glass for your building's envelope? Pick your preferred building's location from the map above and download the case study of your convenience: you can choose from a photovoltaic system in the Full Envelope of the building, a Photovoltaic Curtain Wall in one of the façades or in a Skylight. Clicking on the link selected, you will get a sample Feasibility Study & Return On Investment; the report shows the economic advantages of using photovoltaic insulating glass units of Onyx Solar in a given building, compared to a traditional insulating glass unit. Among others, you will find your building's average reduction in HVAC's energy demand, the amount of electricity generated over its lifespan, or the installed cost per sqm of the Onyx Solar photovoltaic glass. This is the first and only glass in the market that generates free electricity for your building while providing thermal and acoustical insulation, day lighting and sun control, as required by design. This combination of active and passive properties leads to outstanding return on the investments. The low-e photovoltaic glass is the only architectural glass that pays itself due to the energy savings derived from a high performing building envelope plus the electricity generated by the glass, which is used for self consumption. Review the document and let your building make money for you.